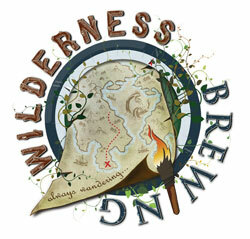 KANSAS CITY, MO – Michael Reinhardt Jr., one-half of the team behind nano-brewery startup Wilderness Brewing Co. is quitting his job and moving to Kansas City, MO to brew beer. And although he leaves behind a steady income, and the warm weather of Pasadena, CA., beer is his passion. Reinhardt hopes to one day make brewing his full-time job, but for now he and Co-Founder Nate Watson are just hoping to make it to market by this time next year. Reinhardt and Watson, which sounds more like the name of a private investigators team, pulled funds from 372 different people using the online platform, Kickstarter. Reinhardt explains that Kickstarter, which allows people to pledge any amount of money to a creative project they find interesting, was the best way to begin fundraising. One caveat to Kickstarter is the funding itself. The platform operates on the “all or nothing” principle, meaning that if the goal for each project is not reached, it is not funded at all. Knowing this, Reinhardt and Watson set their goal at $40,000 with just 65 days to reach the standard. And with less than 24 hours left in the campaign, the project was still only 75% funded. “Once people felt a sense of urgency and started tweeting about it, the project really took off,” said Reinhardt. The campaign, which reached funding hours before the deadline, brought in a total of $41,099 to help Reinhardt and Watson get started with their dream of becoming professional brewers. They will now begin planning for their nano-brewery, which Reinhardt projects could pump out 500 barrels of beer in the first year, even on their planned 2-barrel system. Waton’s own homebrew recipe for a dandelion saison could be one of the first beer brewed on that system. “There is a bit of folklore around that beer in Kansas City and it’s a fan favorite,” said Reinhardt.